That, Detective, Is the Right Question! : 19. 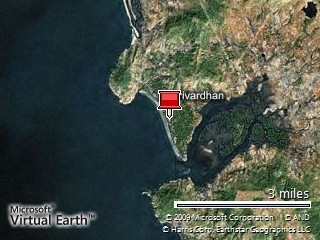 Konkan is eternal source of beauty in its most rustic and virgin form. I took this photo on a cool morning on my trip to Konkan last year. A quote about war says that the luckiest generals are luckier only for 5 more minutes. I think photography requires same kind of luck. 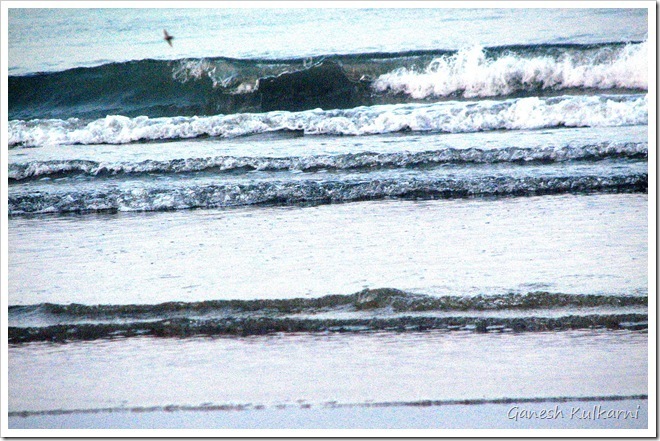 I waited for the bird to come near waves for a very long time – and it paid. The morning was not a clear one. So, some editing and cropping did rest of the job.